Gibson Dunn | LaMagna, Raymond A.
Raymond LaMagna is an attorney in the Los Angeles office of Gibson, Dunn & Crutcher and a member of the firm’s Litigation department. 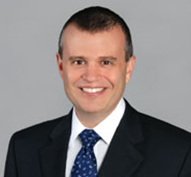 Mr. LaMagna’s practice focuses on complex intellectual property disputes. He has represented numerous biotechnology companies and research universities in pharmaceutical patent litigation and licensing matters, as well as counseled Internet, technology, and media companies in patent, trademark, unfair competition, false advertising, copyright, and contract actions. Mr. LaMagna’s practice also extends to appellate advocacy, including in briefing before the Federal Circuit and United States Supreme Court. Mr. LaMagna has been recognized by Super Lawyers as a “Rising Star” in Intellectual Property Litigation for 2012 to 2016. Mr. LaMagna received his Juris Doctor at the University of Southern California where he was articles editor of the Southern California Law Review. He graduated Order of the Coif and received the James C. Holbrook Award. The Los Angeles Copyright Society also honored him with the Peter D. Knecht Award for excellence in contract, entertainment, and copyright law. Mr. LaMagna has a Bachelor of Arts in Cinema/Television Production from the University of Southern California. Prior to becoming a lawyer, he produced motion picture advertising and was a small business entrepreneur. Mr. LaMagna is admitted to practice in state and federal courts in California, as well as the United States Court of Appeals for the Federal Circuit and the Ninth Circuit, the Eastern District of Texas, and the Northern District of Illinois. Represent world’s third largest steel producer in U.S. patent and Lanham Act claims as part of multi-jurisdictional litigation resulting in a $250 million settlement in clients’ favor. Mr. LaMagna served as client liaison, managed the U.S. litigation, and advised on copending PTO, foreign, and appellate proceedings (Nippon Steel & Sumitomo Metal v. POSCO). Defend Discovery Communications and subsidiary against patent infringement claims by entity asserting to have invented podcasting and media distribution via the Internet. Mr. LaMagna managed all aspects of the case, received critical rulings limiting damages, and obtained a dismissal of all claims (Personal Audio v. Howstuffworks.com). Defend VIZIO, Inc. and coordinate joint-defense group in multi-patent litigation over LED backlight technology, managing all aspects of case (Delaware Display Group et al. v. VIZIO, Inc.). Represent multiple media companies in district court, Federal Circuit, and Supreme Court writ proceedings involving patent infringement claims, resulting in favorable resolution for client (1st Media v. Electronic Arts Inc., Harmonix Music Systems, Inc., and Viacom, Inc.). In defending pharmaceutical company in patent litigation against interferon-beta drug products, develop unenforceability and invalidity defenses for ongoing litigation (Biogen Idec MA v. EMD Serono, Inc.). Defend Viacom and Discovery Communications against patent infringement claims asserted against delivery of video and advertising via the Internet, resulting in favorable resolution for clients (Intertainer v. Viacom, Inc. and Discovery Communications, LLC). * Representation involving prior employment. Represent children in asylum and immigration proceedings in cooperation with Kids In Need of Defense (KIND); successfully obtain asylum for victims of gang violence in Central America. “The History of Children’s Hearsay: From Old Bailey to Post-Davis,” 82 Ind. L. J. 1029 (2007) (with Thomas D. Lyon, Ph.D); reprinted in Hearsay Evidence: Limits and Limitations (2008); cited by the Supreme Court in Ohio v. Clark, 135 S. Ct. 2173, 2182 (2015). “(Re) Constitutionalizing Confrontation: Reexamining Unavailability and the Value of Live Testimony,” 79 S. Cal. L. Rev. 1499 (2006). “California Fog: The Golden State’s Long-Arm Approach to ‘Quasi-California’ Corporations Leaves Companies and Investors in a State of Uncertainty,” in The Deal, October 17, 2005 (with Eva H. Davis).